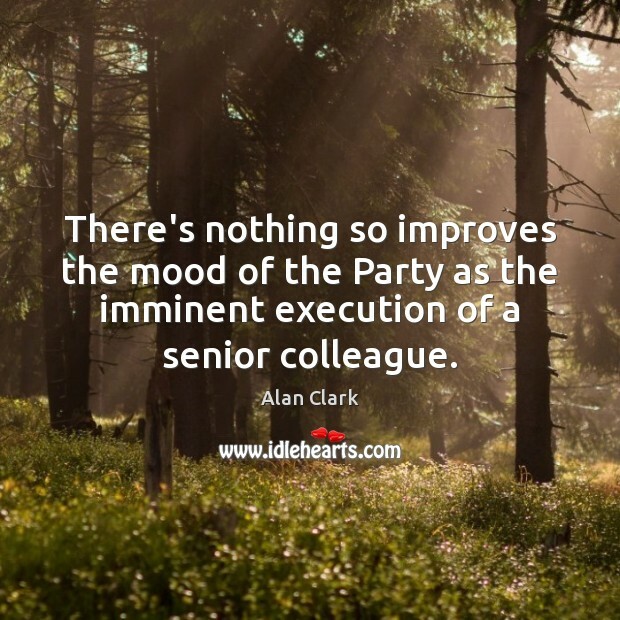 Enjoy the best inspirational, motivational, positive, funny and famous quotes by Alan Clark. Use words and picture quotations to push forward and inspire you keep going in life! 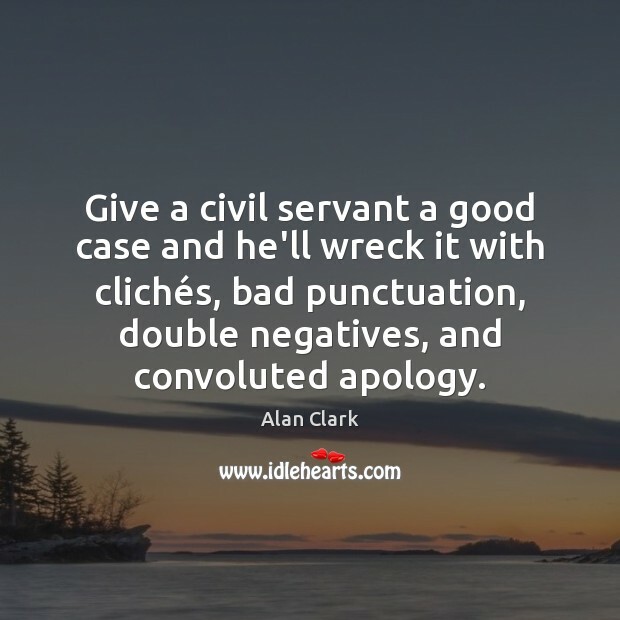 Give a civil servant a good case and he'll wreck it with clichés, bad punctuation, double negatives, and convoluted apology. 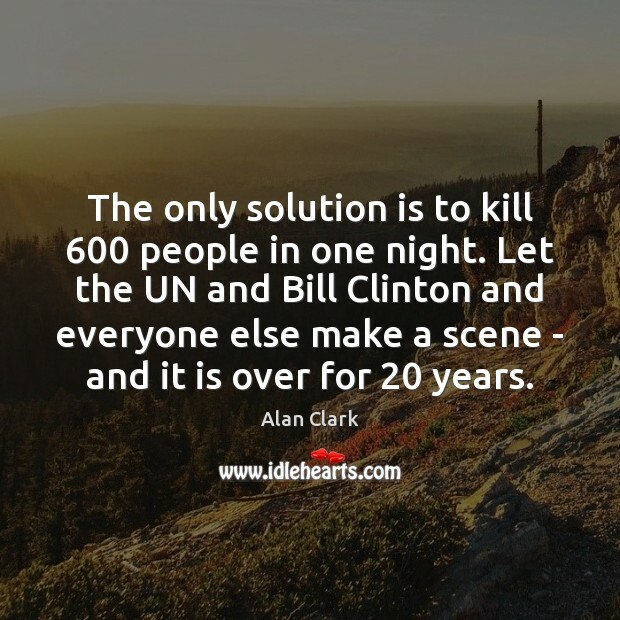 The only solution is to kill 600 people in one night. 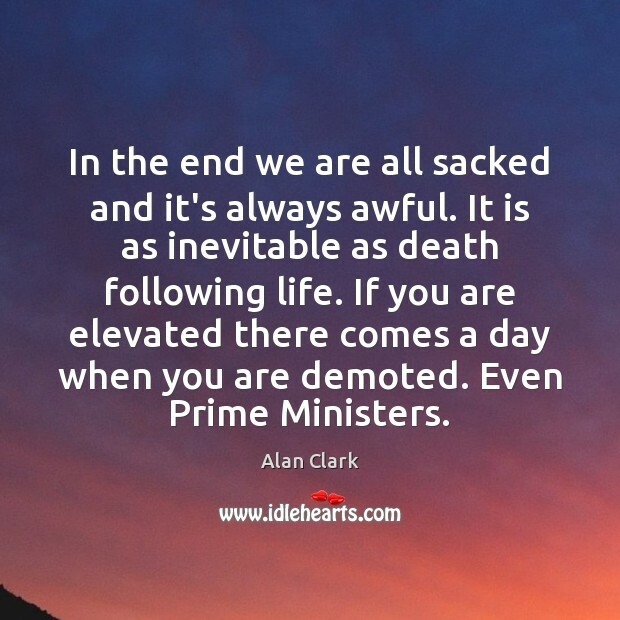 Let the UN and Bill Clinton and everyone else make a scene - and it is over for 20 years.